Helsinki hired Madrid-based <a href="http://www.ldcol.com/" target="_blank">Lighting Design Collective</a> to turn an old oil silo into a brilliant lighting installation to honor the city's selection as the <a href="http://wdchelsinki2012.fi/en" target="_blank">2012 World Design Capital</a>. 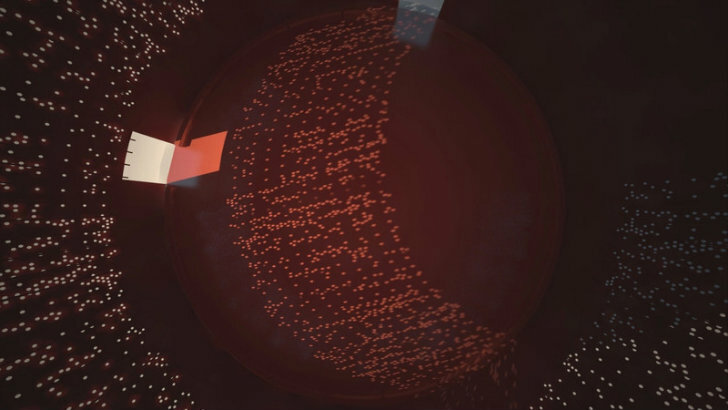 <a href="http://www.ldcol.com/blog/#silo468" target="_blank">Silo 468</a> is a permanent urban light art installation that creates a new public space on the water in the Kruunuvuorenranta District. 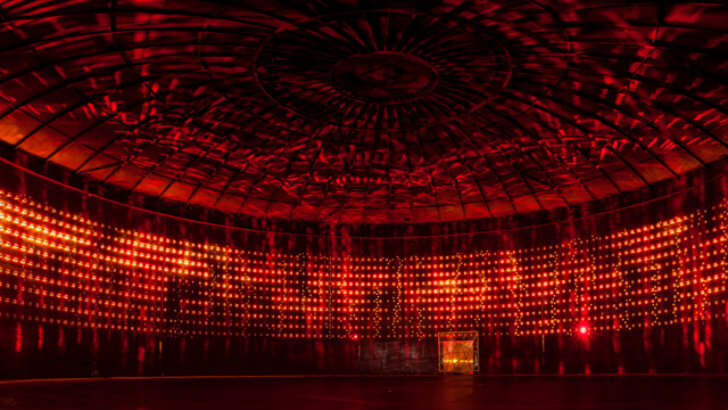 Visitors to Silo 468 will be treated to a subtle and moving installation during the day as perforations in the silo cast light patterns on the inside. 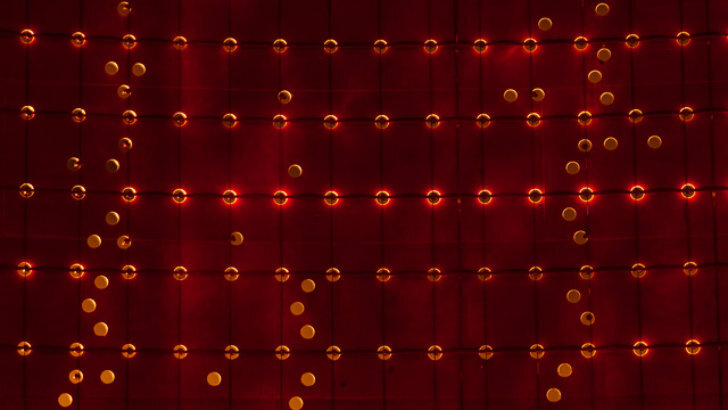 At night computer-controlled LEDs react to weather conditions to create a dazzling light show. 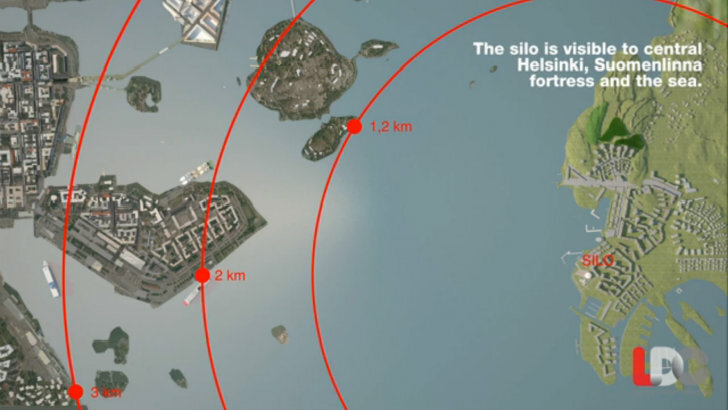 <a href="http://wdchelsinki2012.fi/en/news/2012-10-19/step-inside-kruunuvuorenranta-oil-silo-and-prepare-be-enchanted" target="_blank">Silo 468</a> was originally built in the 1960s and it used to store 16,000 m3 of oil - but it has now been transformed into a wind-controlled lighting installation. 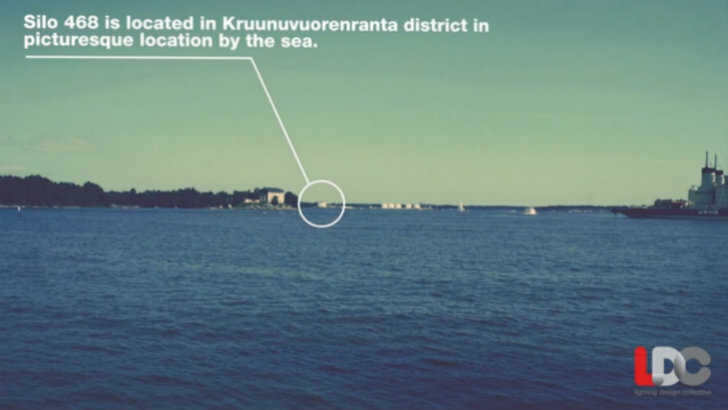 Located on the water in the Kruunuvuorenranta District, the silo is visible to central Helsinki, Suomenlinna Fortress and the sea. 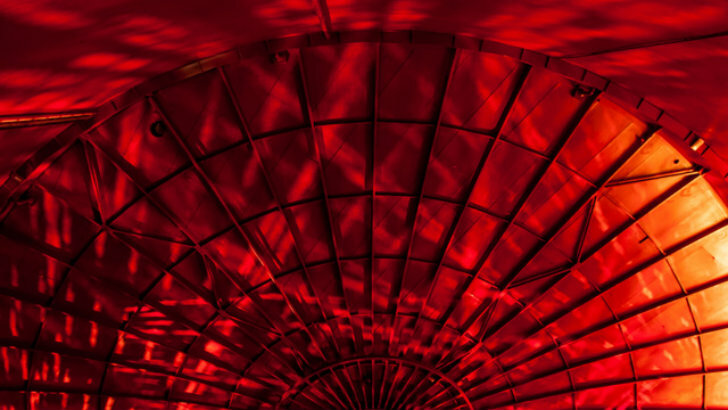 Commissioned by the city of Helsinki through <a href="http://www.ldcol.com/" target="_blank">Lighting Design Collective</a>, the silo is a permanent art installation and public space that visitors can walk around and enter. LDC's design draws upon the city's industrial heritage while looking to the area's future as a residential district. 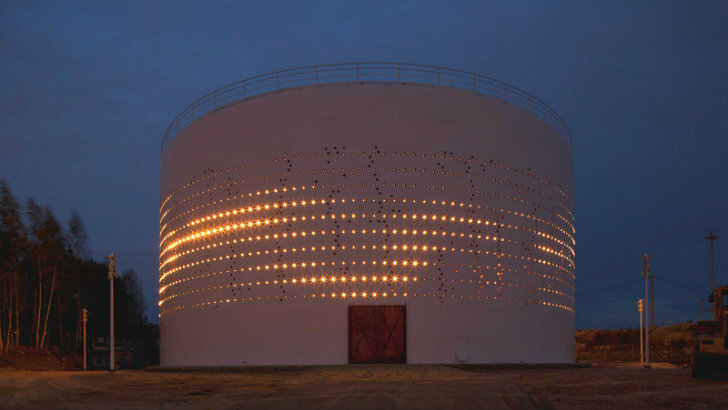 To create the light installation, LDC punctured a series of holes into the silo inspired by the existing rust patterns. 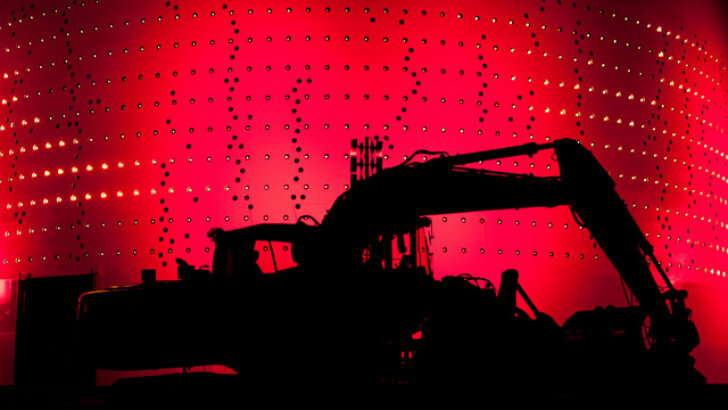 During the day, light seeps in through the 2012 holes and casts a moving light shadow as the sun crosses the sky. At night 1280 LED lights on the exterior flicker on and off based on a bespoke software program that mimics swarms of birds in flight. The bird swarms are a reference to the site's seaside location and the prevailing winds are used to trigger the unique patterns. Silo 468 is <a href="http://wdchelsinki2012.fi/en/news/2012-10-19/step-inside-kruunuvuorenranta-oil-silo-and-prepare-be-enchanted" target="_blank">open to the public</a> right before sunset and for a short period afterwards. The lights remain on until 2:05 in the morning. 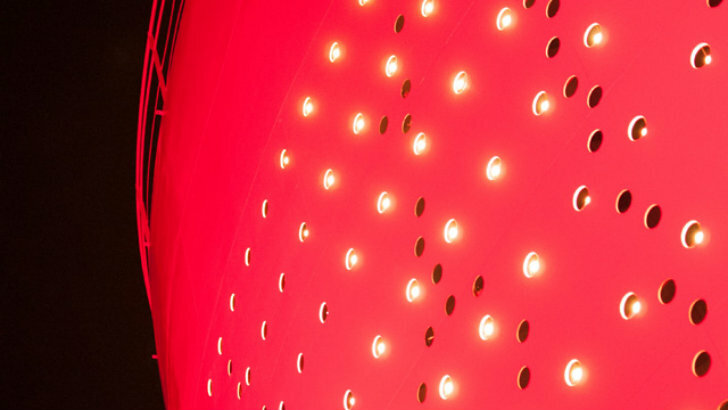 A close up from the inside, which is painted red, of the LEDs and the perforations. 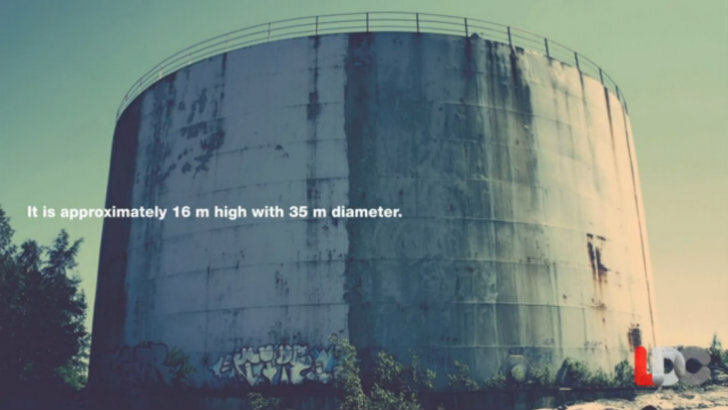 Silo 468 was commissioned in honor of Helsinki being named World Design Capital 2012. 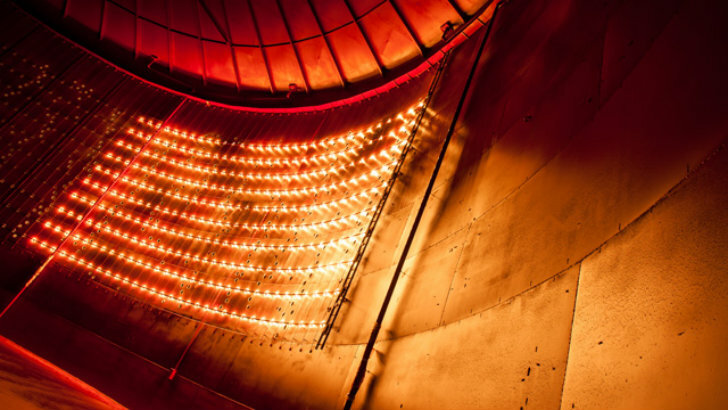 Helsinki hired Madrid-based Lighting Design Collective to turn an old oil silo into a brilliant lighting installation to honor the city's selection as the 2012 World Design Capital. 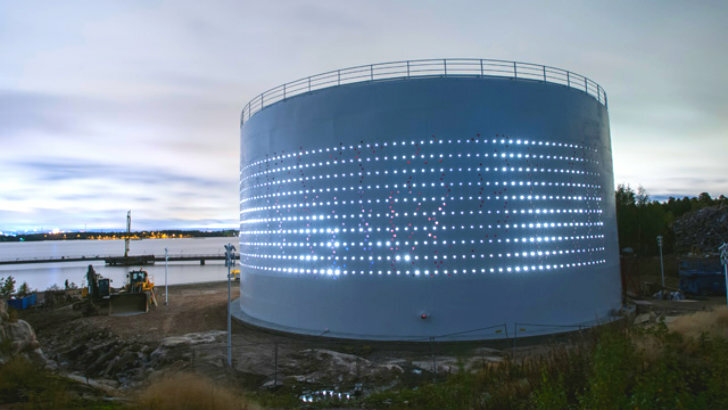 Silo 468 is a permanent urban light art installation that creates a new public space on the water in the Kruunuvuorenranta District. 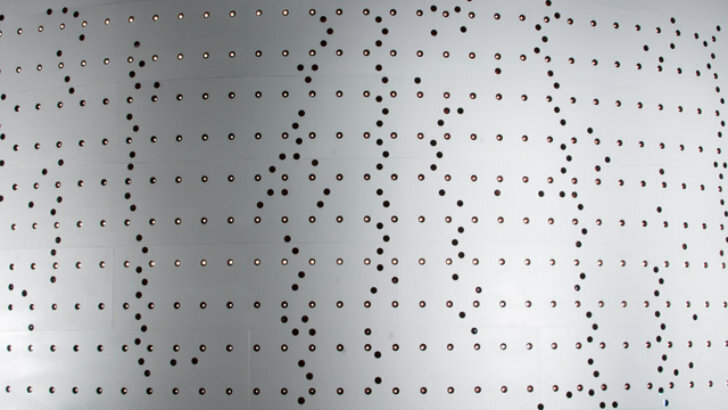 Visitors to Silo 468 will be treated to a subtle and moving installation during the day as perforations in the silo cast light patterns on the inside. 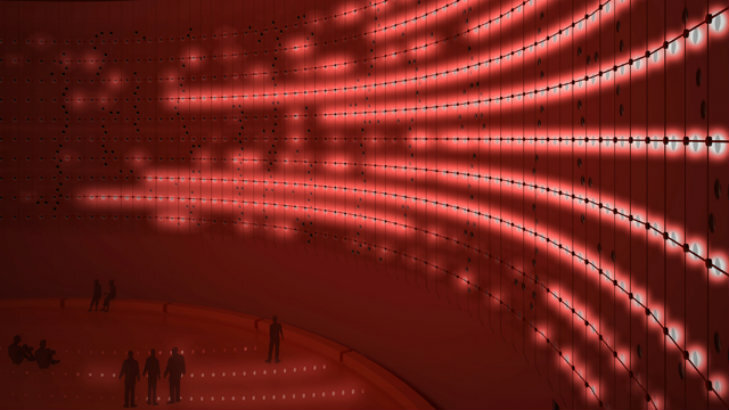 At night computer-controlled LEDs react to weather conditions to create a dazzling light show.